Tigh na Cidhe offers a very high standard of accommodation with the cottage being completely renovated by Spring 2014. 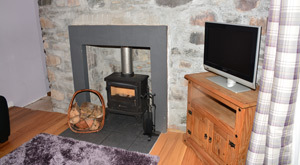 The cottage can sleep up to 6 people.The main part of the cottage has two twin rooms, a downstairs toilet/shower room, a modern kitchen with seating and also a sitting room with a wood burning stove and TV. The cottage has been extended to provide a second sitting room with large glass doors that overlook the sea. 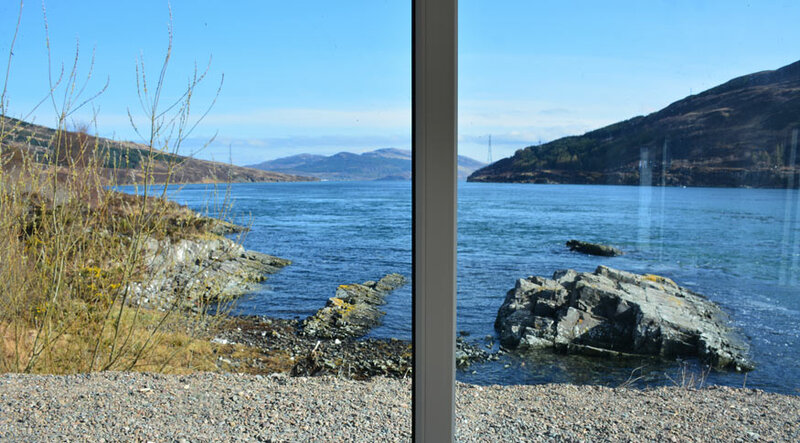 The spectaular view allows regular views of otters feeding on the rocks outside and the local sea eagles catching fish or chasing gulls to rob them. A unique spiral staircase leads from this sitting room to the master bedroom. This is a double bed with ensuite shower facilities. 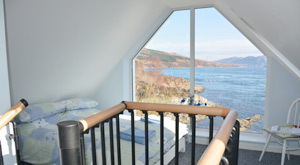 Again the main feature of this room is the large windows and stunning views over the Kylerhea narrows to the Scottish mainland. The cottage is equipped with a modern kitchen and dining area. This is fully equipped with, electric oven, hob, microwave, fridge, dishwasher, dining table with six chairs.